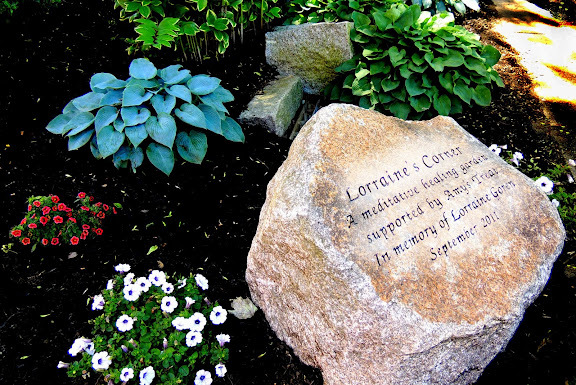 DOVER — Amy’s Treat, a nonprofit organization that works with patients of the Seacoast Cancer Center, has come up with a way to memorialize the legacy of longtime Garrison City resident Lorraine Goren. At Wednesday’s City Council meeting, councilors approved a request to allow the construction of a meditation garden in a section of the Joe B. Parks Riverwalk dedicated to Lorraine. Goren said his wife moved to the Garrison City when she was in junior high school and worked at her family’s Central Avenue business called Farnham’s Department Store. Lorraine spent her years as a resident tirelessly displaying acts of volunteerism and was named alongside her husband as the city’s Citizen of the Year in 1997. 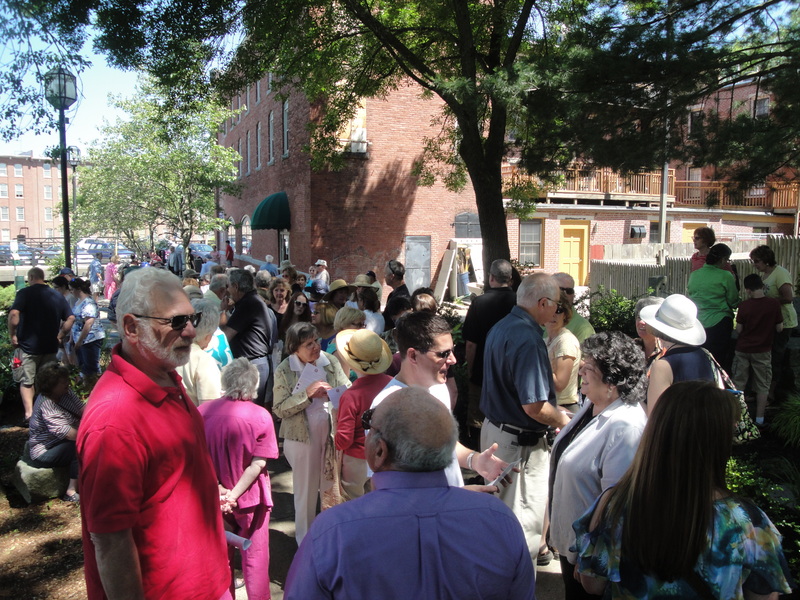 “Lorraine understood the power of community and lived it,” said Goren of his wife. In 2005, Lorraine was diagnosed with ovarian cancer. She battled the disease with her family at her side until she passed at the age of 46 in 2009. Despite dealing with cancer, Goren said Lorraine didn’t let it stop her from continuing to aid the city and its many residents. “All that time she didn’t stop volunteering,” he said. Goren said he and Lorraine were introduced to Amy’s Treat, a 501c3 that reaches out to those affected by cancer, during her four year battle. He said he and his wife, who loved music and theater, were treated to a night out at the Seacoast Repertory Theatre. “It was very touching,” said Goren. Plans for the memorial include the installation of a stone near the Central Avenue entrance to the walk way bearing the inscription, “Lorraine’s Corner, where hope grows. 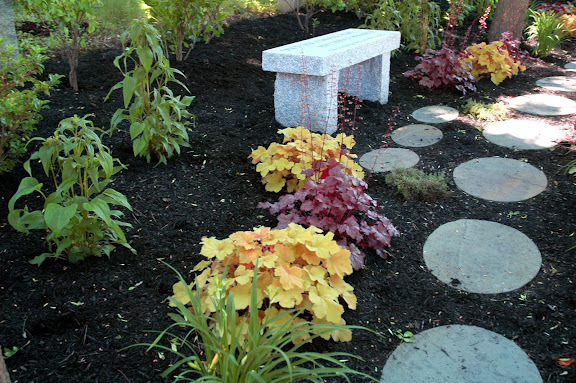 Meditative healing garden supported by Amy’s Treat in memory of Lorraine Goren.” Flowers and shrubbery conducive to healing and meditation will also be planted, and benches and a stone walkway will be constructed as well. The plans were presented to the council Wednesday evening by Beth Fischer of the Friends of Joe B. Parks Riverwalk Public Garden group, receiving unanimous support from councilors. “I can’t think of a better person to honor in this way,” said Councilor Gina Cruikshank. Councilor Dennis Ciotti said the proposal to memorialize Lorraine through the creation of a healing garden was heartwarming. Goren said he was hoping the City Council would approve the request to honor his wife, but was moved by the words they harbored for Lorraine. “It was the comments that were really very touching,” he said. 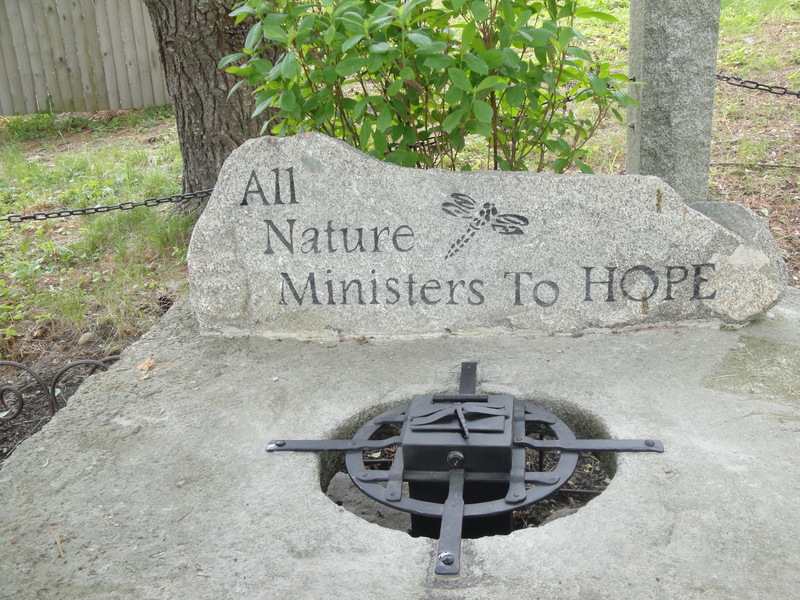 Though plans are not finalized, Goren said he believes the stone will be installed and the meditation garden will be planted sometime in September. This entry was posted in News on August 27, 2011 by admin. DOVER — The Joe B. Parks Community Garden has been the recipient of an outpouring of support during the past month. When news of his death at 94 years old spread, volunteers came out in droves to clean, prune and generally spruce up the riverfront park. Combined with volunteer help during the semiannual Dover Pride Cleanup Day in April, much of the work that would have normally been done during Wednesday’s Day of Caring had already been completed. Still, Beth Fisher, a project coordinator and close friend of Parks, had no trouble finding work for the 20 volunteers that showed up prepared to get their hands dirty during the United Way of the Greater Seacoast’s 5th annual Spring Day of Caring. The new (and ongoing) plan: Operation Creep. Fisher jokingly made up the term to describe how much the park continues to expand beyond the borders originally defined when work began in 2007. So on Wednesday, the volunteer crew got to work on what Fisher said will be the last extension of the park, to behind the Cocheco Park apartment complex. Once the new plants are planted, Fisher said the staff at the apartment complex have volunteered to continue maintenance of that section of the park. In a way, extending the park one last time is a memorial to Parks, who consistently advocated to stretch the park a little bit farther with each new year. “We could not do this without his vision or without folks who volunteer to work on it,” Fisher said. Carol Smack, a regular garden “tender” and also a friend of Parks, said she continues to be touched by the volunteer support for the garden. “It’s just his (Parks’) life, his life’s work,” Smack said of the park. Other volunteers at the park Wednesday never knew Parks, but still wanted to do what they could to pitch in to maintain the serene space downtown. “He (Parks) sounded like quite a person and he put a lot of love and caring into this area,” said Elizabeth LeClair, a Milton resident and Master Gardener who took a day off from her job at Frisbie Memorial Hospital to participate in the Day of Caring. “I’ve always liked downtown Dover and to do this really means a lot,” LeClair said. The group even got some help from a four-legged volunteer — Baloo, a four-month-old Newfoundland puppy who helped the group dig up a bush that needed to be removed. “We were trying to pull it up and he was digging elsewhere, so we just had him dig up the bush,” said Lisa Speropolous, Baloo’s owner and a Liberty Mutual employee who volunteered at the garden for the Day of Caring. “He took care of it, he earned his keep,” she said as Baloo slept soundly in the garden. About 1,000 volunteers representing 40 business and community groups from around the Seacoast volunteered for 56 nonprofit agencies for the Day of Caring in Dover, Exeter, Greenland, Kingston, Portsmouth, Rochester Seabrook, Strafford and Stratham. This year’s sponsors were Liberty Mutual Insurance Group, Bottomline Technologies, Heinemann Publishing, Lonza Biologics, Newmarket International, NextEra Energy: Seabrook Station and Unitil. This entry was posted in News on May 13, 2010 by admin. DOVER — Joe Parks’ legacy lived on Saturday as hundreds of volunteers spruced up the downtown green spaces he spent years preserving. The 11th annual Dover Pride Cleanup Day was the first not to feature Parks, who died last month at the age of 94. He was nationally renowned for his rhododendrons, which he planted all over the city — including in the park named in his honor, the Joe B. Parks River Walk Public Gardens near Orchard Street. The spirit of volunteerism he helped instill in the community — especially its youth — was very much alive Saturday. Dover High School varsity girls’ soccer team members Casey Murphy, Courtney Williams, and Lauren Morrison were some of the roughly 200 people who participated in the cleanup. The trio met Parks in the fall of 2009 at the river walk gardens when their team volunteered to clean it up. They said he was patient teaching them how to care for the plants and appreciative they were volunteering in the first place. Their coach, Connie Roy, said the team was awestruck seeing Parks — at more than 90 years old — digging up soil and raking leaves. “That inspired them,” Ray said. Volunteers on Saturday worked on 13 green spaces, removing branches, painting benches and maintaining plants. The Kiwanis Club provided a pancake breakfast, Starbucks and Poland Spring donated refreshments, and Kendall Pond Pizza chipped in with lunch. Dover Main Street organized the event. Local Girls Scouts got in on the act as well. Lisa Glover’s young troop members from Dover helped out for their community service badge. “It feels awesome!” said 9-year-old Liberty Streeter, who was busy spreading mulch at Henry Law Park. Glover said it was a good experience for the girls. “When they walk by the park, they can say, ‘I’m the one who did that. I’m the one who cleaned it up,'” she said. It’s all part of a promise to honor Parks’ legacy, according to organizer Britt Ulinski Schuman. “We’ll keep (the green spaces) looking good,” she said. This entry was posted in News on April 25, 2010 by admin. DOVER — Inventor, sculptor, horticulturalist, computer pioneer, soldier, legislator, train buff, consultant, teacher, preacher’s kid, philanthropist, entrepreneur, woodworker, bibliophile, real estate investor, Arctic traveler, class president, husband, father, and Pop-pop are only some of the titles which could be used for Joe B. Parks. Interested in almost anything and an expert in many things, he lived an amazingly full and happy life. He died Wednesday at the age of 94. A steward of the environment, he promoted conservation, was a tree farmer, and received an award from the Sierra Club for distinguished environmental service as a legislator. Afflicted early with a disease called “gardening,” he spent years working with plants, studying, propagating, and hybridizing them. At the age of 90, 10 years after receiving a cancer diagnosis, he traveled to the Arctic to investigate heat capture in high-Arctic flowering plants. He developed and registered more than 20 new azaleas and rhododendrons. He loved nothing more than sharing his gardens and his knowledge with other plant-lovers, teaching gardening courses for the Dover Adult Learning Center, designing and installing a Japanese garden with students from Dover High, writing a gardening column for Foster’s Daily Democrat, conducting plant-by-plant tours of his gardens, and serving as auctioneer at the annual Durham Garden Club plant sale. He served as President of the Massachusetts Chapter of the American Rhododendron Society and was a founding member of the Maine Coastal Botanical Garden. He was honored by the City of Dover in 2008 with the dedication of the Joe B. Parks Riverwalk Garden and by the American Rhododendron Society in 2005 with the Silver Medal. Many of his rhododendrons will be maintained at the University of Southern Maine Arboretum in Gorham, Maine. A talented artist and creative person in many other areas, he sculpted in clay, bronze, and granite, carved and printed multicolor woodblocks, and used his woodworking skills to build everything from tiny jewel boxes to intricate dollhouses to custom furniture. He was always inventing minor domestic improvements, including a hands-free door opener, a bird feeder squirrel deterrent, and a “better mouse trap” that he tried to patent. He was a bibliophile who collected and preserved all kinds of books, treasured his status as a proprietor of the Portsmouth Athenaeum, and spent the last several years finalizing his memoirs for publication. Joe was born in McAlester, Okla., on Dec. 17, 1915, son of the Rev. James A.T. and Florence Youngblood Parks and brother of Mary Parks White. He was extremely proud of his Cherokee grandparents who had come to Indian Territory over the Trail of Tears. He graduated from Oklahoma A. & M. College (now Oklahoma State University) in 1939 with a bachelor’s degree in Public Administration. While at A&M he began his lifelong work with computing machines. Joe moved to Washington, D.C., after his graduation and soon met his future wife, Florence Evans, whom he married in 1941. They were happily married for 58 years until her death in 1999. Recruited by IBM as part of the Lend-Lease war effort, Joe received a commission from the Army shortly after Pearl Harbor. He served in the medical corps in England and France as a supply officer and was one of only a handful of headquarters soldiers to be awarded the Bronze Star. After the war, Joe began a career in public service, beginning with the Veterans’ Administration and culminating in his retirement as a Deputy Director at the Department of Health, Education, and Welfare. In addition to his government work, he was a managing director for RCA and a marketing director at Booz Allen Hamilton. After his retirement, Joe and Florence moved to Dover, N.H. to be near their daughter, Kathryn and her family. Joe and Florence believed that service to one’s community was a basic responsibility and were engaged in their communities throughout their lives. In Dover, Joe immediately became an active member of the First Parish Church of Dover, serving as both a deacon and a warden, offered his services to the city of Dover as a computer consultant, became active in the Republican Party, serving as Chairperson of the Strafford County Republicans, and was a corporator of Wentworth-Douglass Hospital. In 1984, he first ran for a seat in the New Hampshire legislature, conducting a door-to-door campaign from his bicycle, and ultimately served four terms. He was named a Rotary Paul Harris Fellow in 1998 in recognition of his service to his community. Joe leaves his daughter, Anne Parks-Goss and her husband, Vladimir, of Hillsborough, N. C., granddaughter, Christine Goss of Lewisburg, W.Va.; his daughter, Kathryn Forbes of Dover, granddaughter, Moira Forbes and her husband, Jared Hughes of Arlington, Va., grandson, Kenneth Forbes and his wife, Connie, of Stowe, Vt., granddaughter, Megan Forbes and her husband, Richard Brown of Brooklyn, N.Y., four great-grandchildren, nieces, nephews, and his beloved poodle, Buzz. A celebration of his life will be held at the First Parish Church, Congregational, Dover, N.H. on Saturday, April 10, at 10 a.m. Calling hours will be Friday, April 9, from 2 p.m. to 4 p.m. and 6 p.m. to 8 p.m. at the Wiggin Purdy Funeral Home in Dover. Family flowers only. Memorial donations may be made to the Dover Adult Learning Center of Strafford County, or to the City of Dover Joe B. Parks Riverwalk Garden. Visit www.fosters.com/obits the online guest book. This entry was posted in News on April 4, 2010 by admin. DOVER — Joe Parks once said that he lived by the philosophy of his father, a minister. “The world doesn’t owe you anything, you owe it,” Parks said. Even in his last days, Parks was living that philosophy, even traveling by ambulance just to meet with representatives from the University of Southern Maine Arboretum to finalize plans to donate some of his famous rhododendrons. Parks died Wednesday night at Wentworth-Douglass Hospital at the age of 94. It seems nearly all the major landmarks in the city have been touched by Parks — Henry Law Park, Garrison Hill, the Woodman Institute and several others all appear the way they do today because Joe Parks had something to do with it. And most recently — in 2007 — Parks took the lead in a beautification project that transformed a long-neglected section of the downtown riverfront into a community garden dedicated in his honor. He was more than just the namesake for the Joe B. Parks Riverwalk and Gardens, something that doesn’t surprise anybody that knew him. 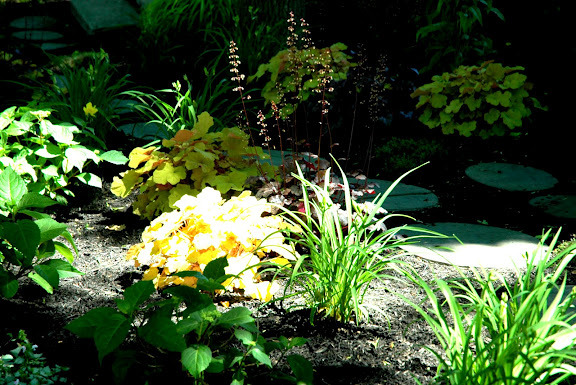 It started with Parks agreeing to transfer a variety of plants from his own backyard gardens. Then Parks agreed to help design the riverwalk. Soon, he was at the garden every weekend, digging holes, spreading mulch and instructing volunteers about how to plant and care for his prized plants. “I would mention to people ‘If you see an older guy around with light hair and two dogs, that’s just Joe.’,” Fischer said. The Joe B. Parks garden is easy to point to as Parks’ legacy in the city, and it is. But Fischer said his legacy created by the park is much more than a name, or a plant or a bench that wasn’t there before. 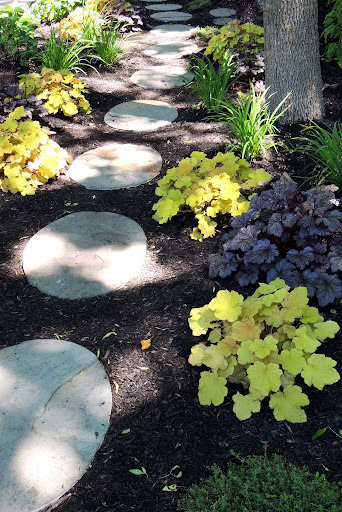 For nearly two years, Parks personally worked with Heather Fabbri’s horticulture class at Dover High School’s Career Technical Center as they designed and planted a Japanese garden on the riverwalk. First he judged several models presented by students. And when the first shovels hit the ground, Parks was there — with a car full of doughnuts for the students — to guide the class through the process. “He understood some of the kids were not ones that were going to go on to be Rhodes Scholars, but there were things they could accomplish,” Fischer said. It was that extra effort, to use his skills to shape the next generation, that Mayor Scott Myers said he always admired most about Parks. “That was the greatest gift he gave to the city,” Myers said. Since moving to New Hampshire in the early 1970s, Parks became known for his ability to hybridize warm weather and fragile plants, notably rhododendrons, to both sustain the New England environment and resist insects. He served as president of the Massachusetts chapter of the American Rhododendron Society from 1994 to 1996 and received the silver medal award from the organization in 2006. Parks was also asked to register his garden with the Smithsonian Institution. Although he is well known for his work in horticulture, Parks never took a single course in the subject and has worked most of his life in business and real estate, managing property and restoring houses around Dover. But the hobby was a part of his life since he was a child, drawing inspiration from a family farm in Oklahoma. Parks began hybridizing plants while living in Virginia during the middle of the century, but his work picked up pace after moving to Dover. He began work on his garden, nestled among what was then dense forest, before construction on his Long Hill Road home was completed. The well-planned garden since expanded to a series of small gardens connected by a winding pathway. Parks was always busy, and it wasn’t just limited to gardening, Kathryn Forbes said. He spent much of his career working in data management and computing after attending what is now Oklahoma State University when researchers at that school development a computerized registration system using punch cards — in the 1930s. He later went on to sell computers for RCA for several years. Most recently, Parks discovered that he could use magnets to help ease some of his arthritis pain and could often be seen going about his day with bandage covered magnets attached all around his body. But Parks wasn’t content with just accepting that it helped. Instead, he began pouring over medical research about the theory and even said he wanted to find a way to start a trial to scientifically test his theory. “Everything that came along interested him,” Forbes said. And he wanted to explore it all, she said. “He didn’t plan to grow old,” Forbes said. The thing about Parks’ wide array of interests is that it allowed him to be something different to everybody he met — horticulturist, volunteer, teacher, writer, sculptor, Army major, state legislator, entrepreneur. This entry was posted in News on April 2, 2010 by admin. DOVER — The Joe B. Parks River Walk Public Gardens now has an international flair following the introduction of a Japanese garden by a group of Dover High School horticulture students. Once a tabletop model inside Room 128 of the Career Technical Center, the plans from about a dozen students in Heather Fabbri’s horticulture class have now sprung to life on a small triangular plot near the Cocheco River. Although Joe Parks, who has worked with the students throughout the process, was not able to attend the dedication, his thoughts were still apparent throughout the ceremony. Although the project is still in progress, it is already a far cry from the 43 feet by 43 feet and 30-foot piece of land that was previously just mulch. When it’s finished, the triangular garden will be bordered by vegetation and rocks, with steppingstones, stonewalls and earthy pathways. Since April 3, students have worked on the garden every Friday, from 9 a.m. to 2 p.m., and had to make up missed class time. “This wasn’t just a get-out-of-school-free card,” said Kelsey Neely, a student in the class. Instead, she said, students were able to see a direct impact of building the garden as residents walked by with their pets and commented on the beauty of the garden. And Career Technical Center Director Jim Amara said students should continue that same sense of pride in the garden even after the class ends. DOVER — Today, it’s a model of the Japanese garden sitting on a table inside Room 128 of the Regional Career Technical Center at Dover High School. Soon it will become a riverside retreat, its triangular design bordered by vegetation and rocks, with steppingstones, stonewalls and earthy pathways inviting people strolling through downtown to take a break. Starting April 3, a dozen or more students from Heather Fabbri’s horticulture classes will team with the city’s resident plant expert, Joe Parks, to develop the garden between Orchard and Chestnut streets, near the public gardens named after him. Their work will unfold Fridays, from 9 a.m. to 2 p.m., until May, and students will have to make up missed class time, Fabbri said. Parks said he hopes the garden, which measures 43 feet by 43 feet and 30 feet and has broad community support, will ignite passion for such beautification efforts. The garden’s roots stretch back to the school’s first semester, when students created models for Parks to judge. He used the top three to build a compilation, but the task ahead rests largely with students. Students are set to raise funds for one third of the roughly $3,000 project, with a private donor and Dover Main Street and the Dover Rotary Club picking up the rest, Fabbri said. Community help is also welcomed, said Fabbri, who can be reached at 516-6978. This entry was posted in News on March 24, 2009 by admin. DOVER — Joe Parks had a lifelong dream blossom Wednesday with the completion of the Joe B. Parks Riverwalk Public Gardens. 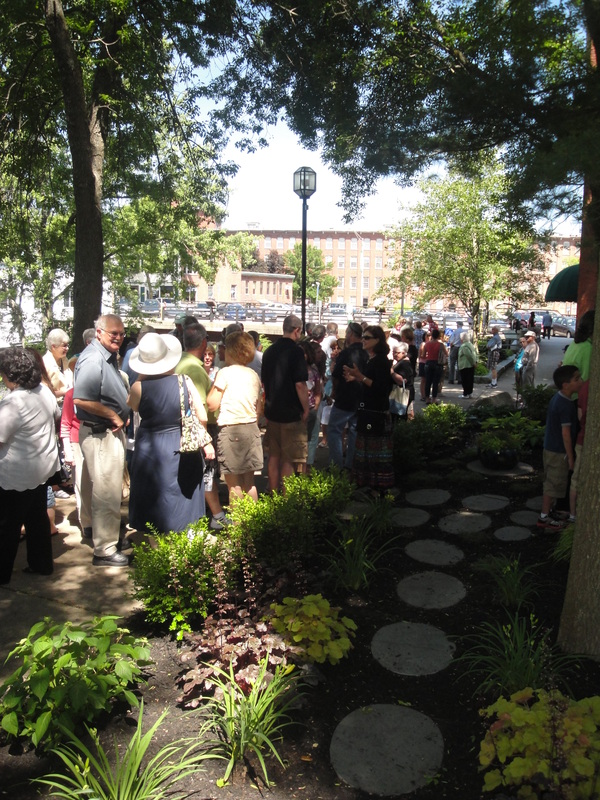 Friends, family, city officials and admirers gathered along the banks of the Cocheco River for the official dedication ceremony of the gardens, which are the result of nearly a year of work and hundreds of volunteers. Parks added that although he supported the project, Beth Fischer, the volunteer coordinator for the project, was the person to organize and motivate the volunteer effort. The project began as an effort between Dover Main Street and the Dover Rotary Club last fall, and has since involved at least 200 volunteers and help from the Ageless Dreamer Foundation. In addition to providing the inspiration for the park with his own garden, Parks has donated numerous plants, designed the garden and put in several hours of labor to help complete the finished project. Parks has hybridized more than 22 types of rhododendrons and was asked by the Smithsonian to register his six-acre garden, which he has made available to the public in Dover. He is also formerly the president of the Massachusetts Rhododendron Society. As part of the larger project, Local Eagle Scout Steven Jencso has also worked with Connie Roy, of Reverie Design, and a group of Boy Scouts to redo the mural under the Chestnut Street bridge. Although it took countless volunteer hours to make the park work, Laurie Widmark, the founder of the Ageless Dreamer Foundation, said it was Parks’ initial dream that made the park possible. Joe Parks stands in the Joe B. Parks Community Garden following a dedication ceremony on Wednesday. “Thank you for having the courage to dream out loud and share your dream with us,” Widmark said. Parks also got a surprise from Laura Smith, of Rivers Photography, who presented him with a framed photograph of the gardens. Jewelry Creations will also donate 10 percent of any sale of its Garden Collection toward a trust created to help fund the maintenance of the park. Anyone wishing to contribute to the trust can make donations to the Joe B. Parks Riverwalk Public Garden Trust, C/O the Finance Department, City of Dover. Anybody also wishing to help with the future maintenance of the parks, or “Adopt-A-Spot” can contact Dover Main Street. DOVER — The Joe Parks Community Garden will have its official debut today during a dedication ceremony to celebrate the more than 200 people who have contributed to the park. The celebration will be held at 5:30 p.m. at the public garden, at 400 Central Ave., and will feature a series of speakers, include a few words by the park’s namesake and workhorse, Joe Parks. Mayor Scott Myers, Ageless Dreamer Foundation Executive Director Laurie Widmark and representatives from the Dover Rotary Club and Dover Main Street will also speak at the dedication ceremony. There will also be music and a reception following the ceremony. The garden is part of a larger project to beautify the riverfront and extends along the Cocheco River from the Central Avenue bridge to the Chestnut Street bridge. In addition to hours of volunteer time, Parks donated several of his world-famous hybrid rhododendrons. several other plants and three sculptures from his garden. Local Eagle Scout Steven Jencso has also worked with Connie Roy, of Reverie Design, and a group of Boy Scouts to redo the mural under the Chestnut Street bridge. Although the park has been mostly completed, the project is still looking for some volunteers for the work that has to be done to keep the gardens in shape. “We are looking for additional folks who want to get involved to help us maintain the beautiful gardens,” Fischer said. Project coordinators have also set up a trust through the city for donations to help maintain the garden. This entry was posted in News on June 18, 2008 by admin. DOVER — The warming weather means volunteers for the Joe Parks Community Garden will be back in full force, prepping and planting in flower beds. 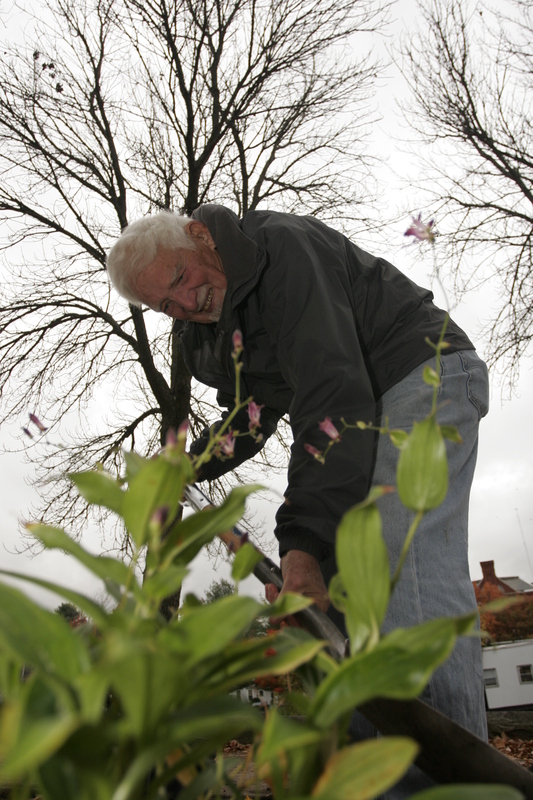 Tuesday marks the first workday following the snowy winter, with a “potting party” scheduled to be held at Joe Parks’ house from 8 a.m. to 1 p.m. Although the work is picking up exactly where it left off, there is one major change the project, said Beth Fischer, who has been organizing the project. The project, which was organized and run by Dover Main Street last year, is now being headed-up by the Ageless Dreamer Foundation following Dover Main Street’s recent decision to reorganize without an executive director and move out of its office. Fischer said several of the volunteers are still coming from Dover Main Street, but the Ageless Dreamer Foundation has taken the project on as a special initiative. 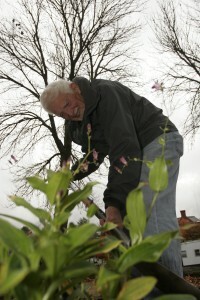 Following Tuesday’s potting party, Fischer said work on the garden will continue every Saturday beginning April 26. She said the project is specifically seeking somebody who will donate temporary use of a backhoe or tractor to haul heavy materials on Saturday mornings. The project is also seeking volunteers for a range of purposes, including working in the garden, making food for the workers, helping with publicity or helping with the dedication ceremony, which will be held on June 18, Fischer said. Anybody wishing to help can contact the Ageless Dreamer Foundation at (603) 988-3563 or email at bethfischeragelessdreamer.org. This entry was posted in News on May 15, 2008 by admin.